Ask if anyone has visited the beach yet this summer? 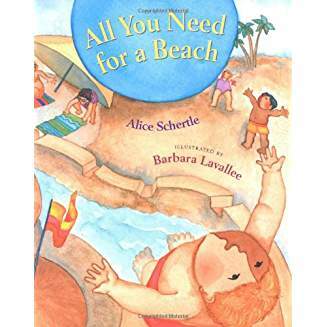 What do you need to go to the beach? 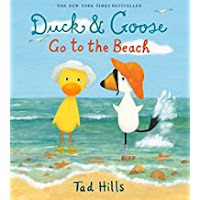 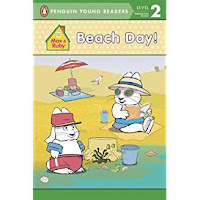 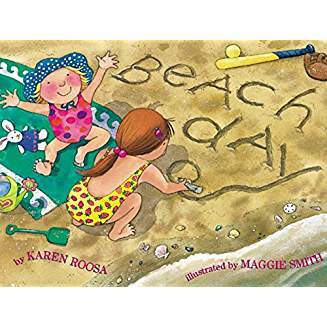 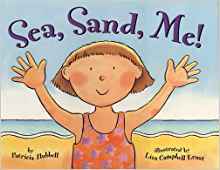 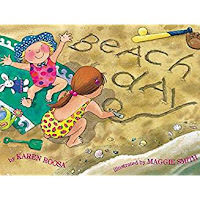 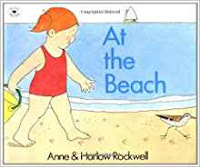 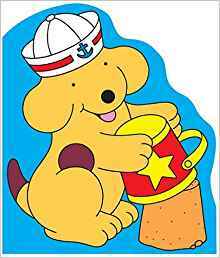 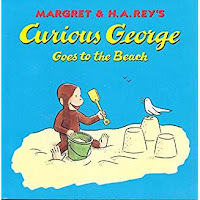 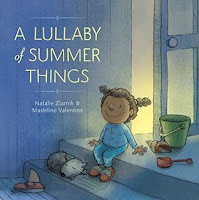 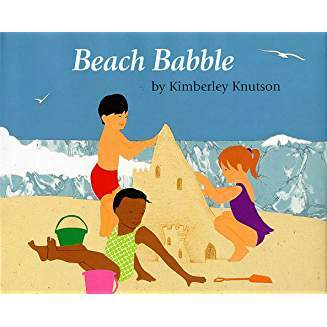 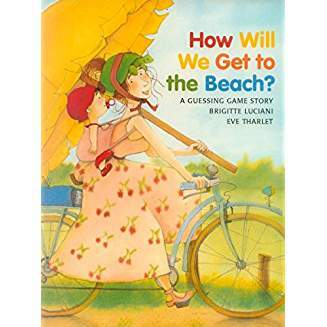 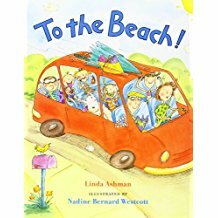 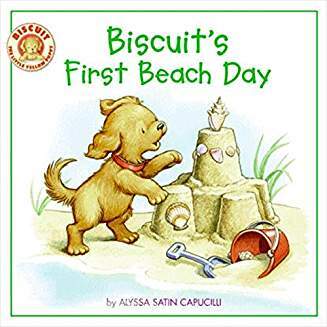 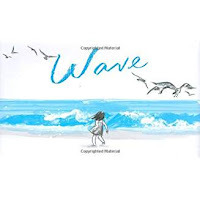 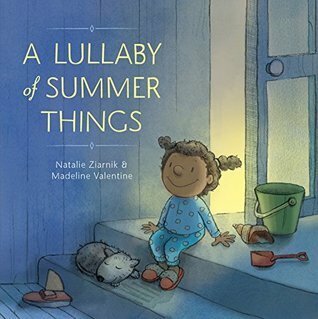 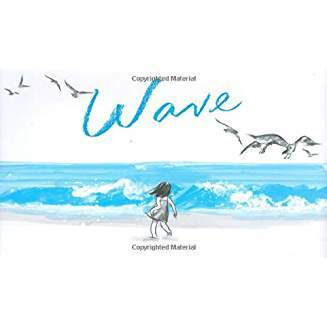 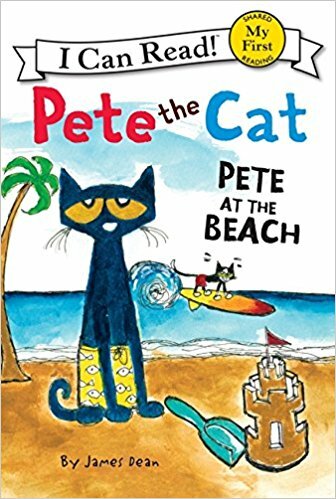 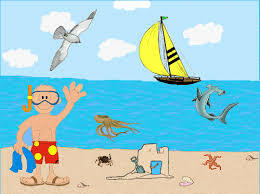 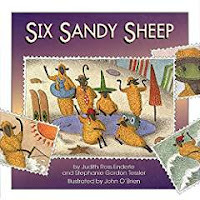 We are going to share books all about the beach today! 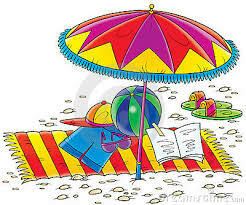 My ball is big and round. And it rolls on the ground. 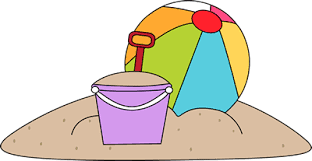 Use a beach coloring sheet and spread glue on the lines then turn picture over into a tray of colorful sand.